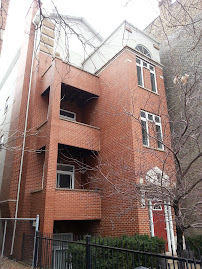 We hit the streets daily to keep an eye on interesting real estate projects. 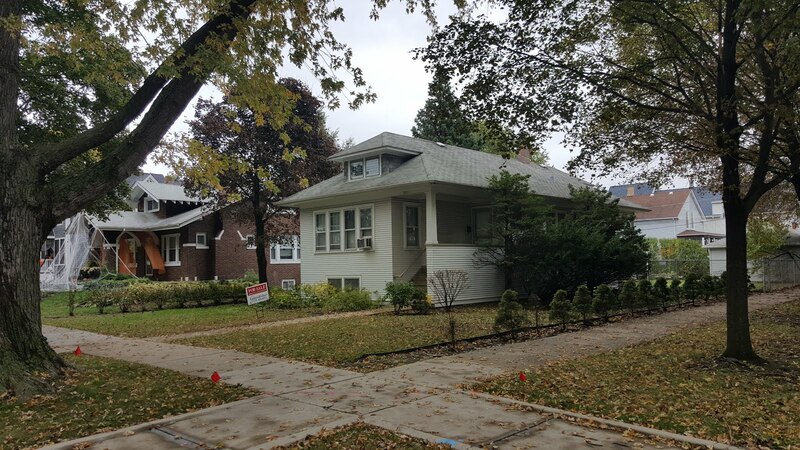 The development and renovation parade continues around Ravenswood in greater Lincoln Square with a pair of cool properties on the 5100 block of North Wolcott. 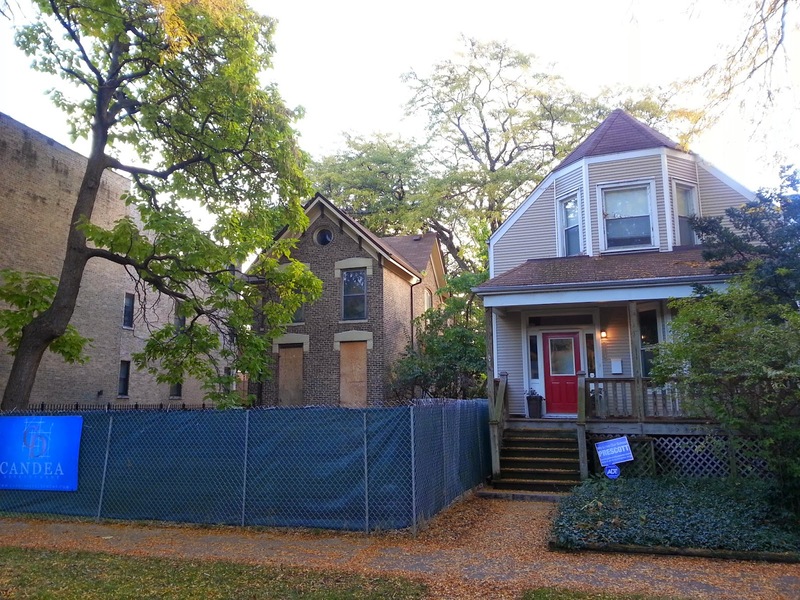 5123 N Wolcott on the left will house two new construction homes. 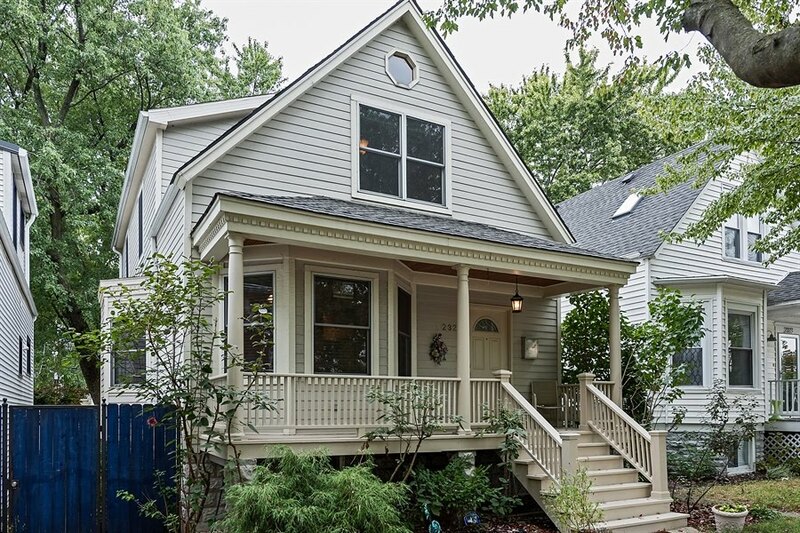 A charming original home sits adjacent on the right. The 5123 North Wolcott property is approximately 50x154. 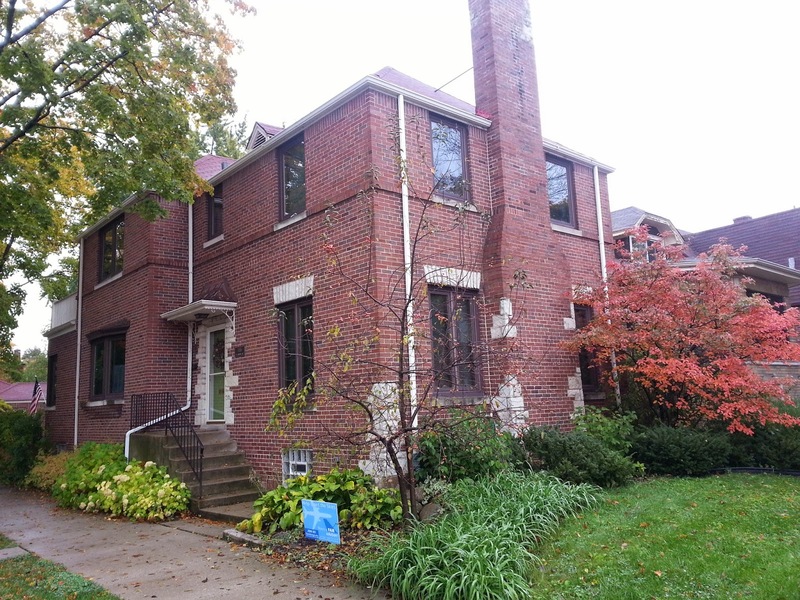 According to MLS records the property was purchased in August of this year in a court ordered sale for $550,000 cash. That's a steal at $225,000 per divided lot. Normally a single lot of 25x154 would be at least $350,000 depending on the location in the area. I like the developer's work and expect they will be quality new homes. 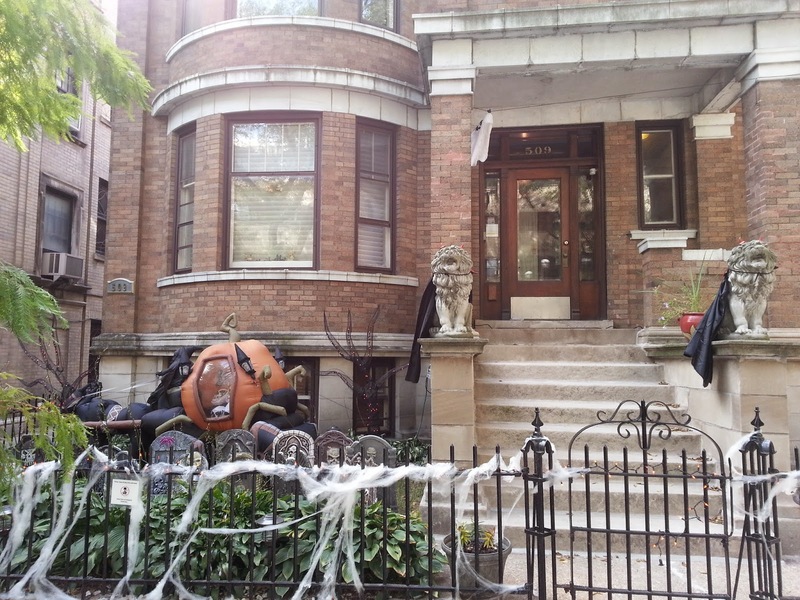 5120 N Wolcott. The two-flat sold in April for $625,000 in a bidding war is getting the gut renovation treatment. 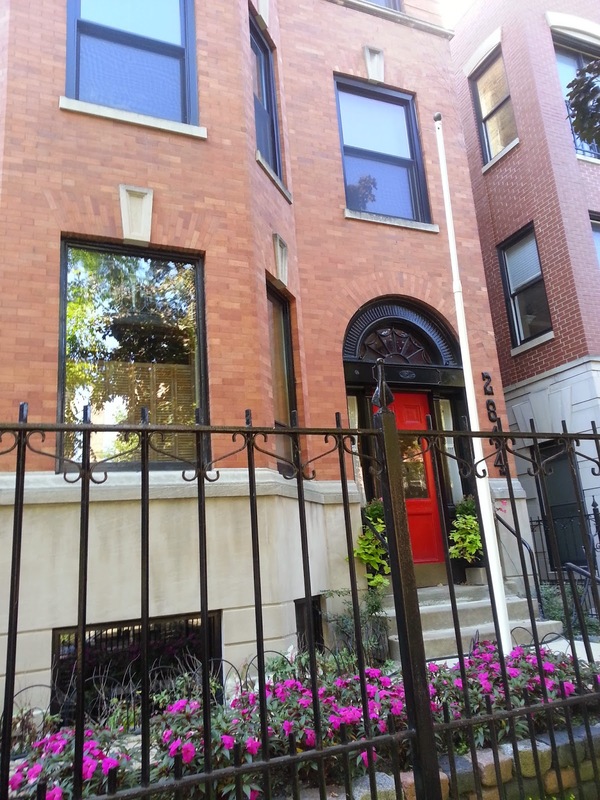 Case in point: A two flat at 5120 N Wolcott directly across the street sold in April this year for a hefty $625,000 (listed at $549,900). 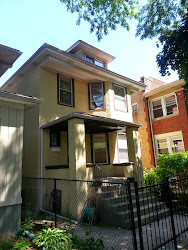 The coveted extra wide and deep lot at 30'x154' sold at a much higher premium than the 5123 N Wolcott double lot. 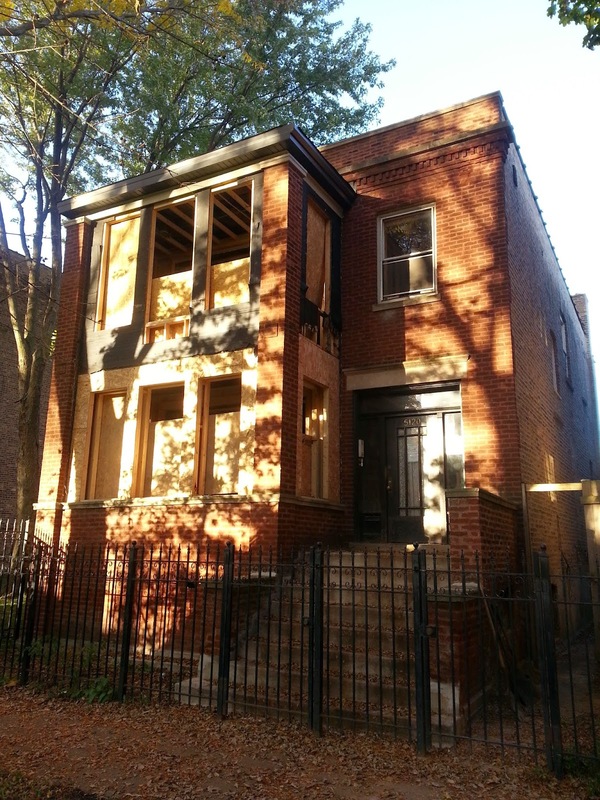 5120 N Wolcott is in the process of gut renovation by the current owner (listed as an LLC). 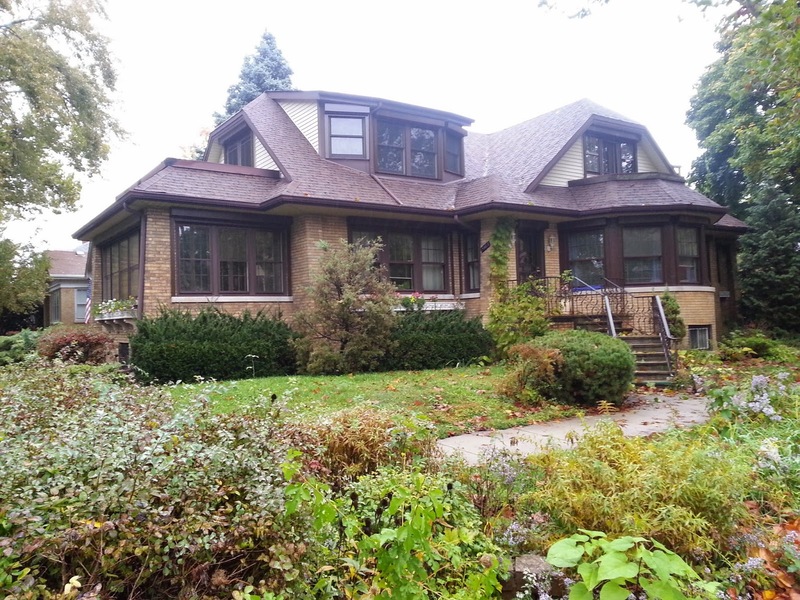 5120 N Wolcott sits adjacent to a unique and attractive set back property. 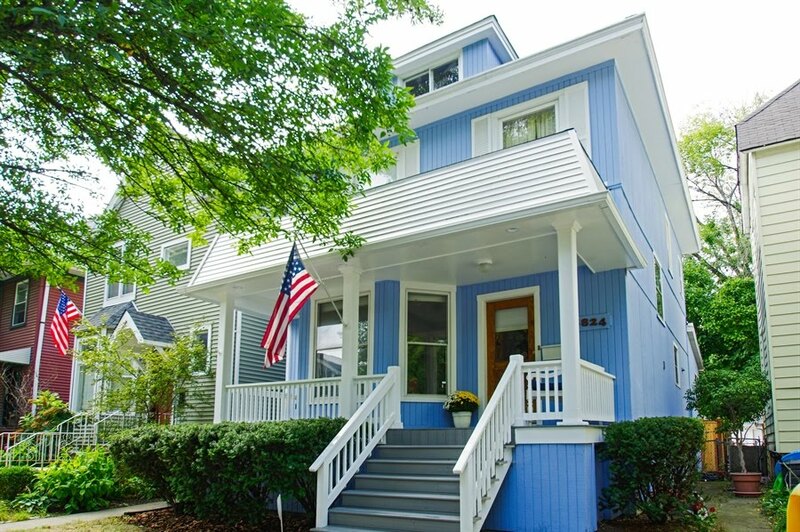 The 5100 block of North Wolcott delivers the charm with a mix of vintage, renovated and new properties along a mature tree-lined street. If you are looking to buy a house in the Lincoln Square area prior to its listing on the market or prior to development please contact us. We help clients contact and negotiate with developers and locate homes on and off the MLS market for purchase. Here's a look at one, two and three bedroom condo sales (attached units including town houses) from January 1st to October 28th, 2014. 129 three or more bedrooms units closed this year from January 1st to October 28th. The median price of a unit is about $642,500. 123 units with a median price of about $660,000 sold over the same period in 2013. A pretty stable run for larger homes over the last two years. The highest sale thus far in 2014 is $1,616,000 for a condo unit at 1211 S Prairie Unit 2901. The three bedrooms northeast corner unit in South Loops most prominent building comes in just under 3,000 sq/ft and two garage spots. At least 24 units have sold for over one million this year. 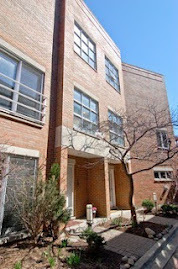 374 two bedrooms condo units sold with a median price of $392,000. Unit sales are up 21%. 307 units sold over the same period in 2013 with a median price of $370,000. The highest two bedrooms sale is $1,075,000 at 1211 South Prairie Unit 6202. 151 one bedroom units sold with a median price of $235,000. 153 one bedroom units sold over the same period last year with a median price of $220,000. The highest one bedroom sale is $470,000 once again at the 1211 S Prairie building. You may pay a little more to live in the South Loop than a few years ago but that price tag comes with more stable housing, increased retail options and more nightlife. The 1700 block of North Milwaukee avenue will feature a new Northwestern Memorial Hospital facility. 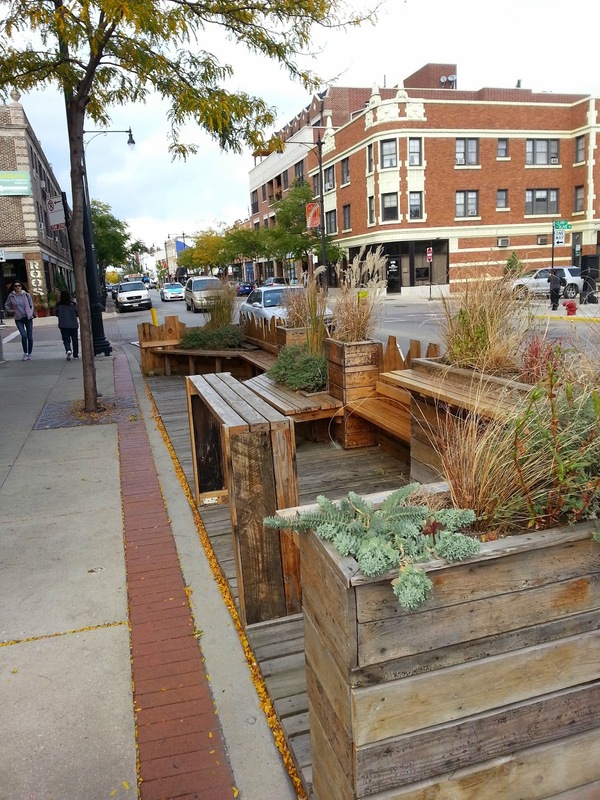 A couple weeks ago we were showing condos at one of the main areas of Milwaukee Avenue development in Bucktown. Curbed Chicago posted a really great rundown today of development along Milwaukee Avenue in that encompasses the three desirable neighborhoods of Bucktown, Wicker Park and Logan Square. Swinging in Lincoln Park: Cummings Playground by the zoo. 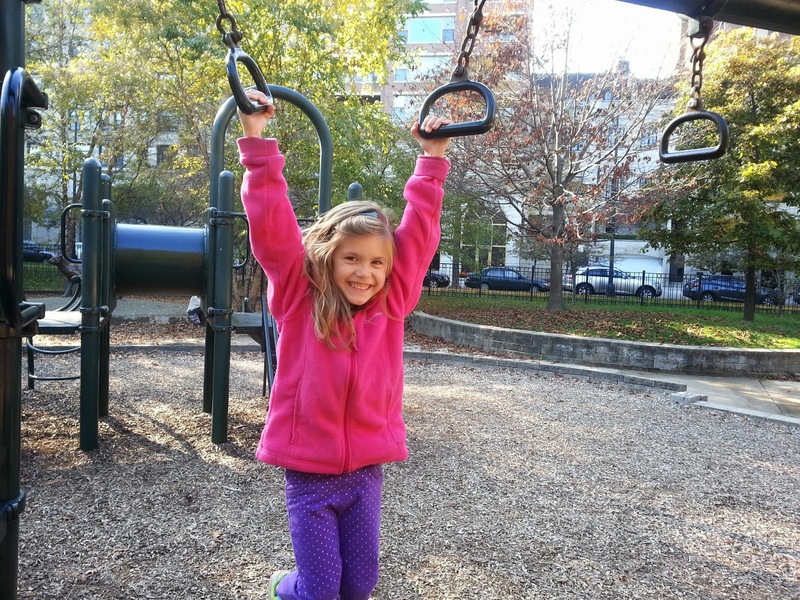 Kids were off school last Friday so we headed to one of our favorite parks. 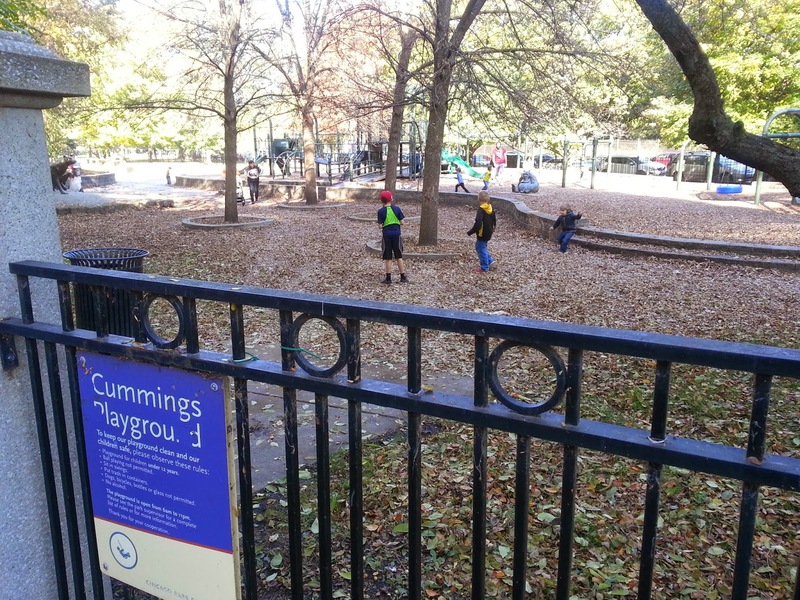 Cummings Playground is just west of Lincoln Park Zoo stretching from West Webster to West Dickens between North Lincoln Park West and North Stockton. 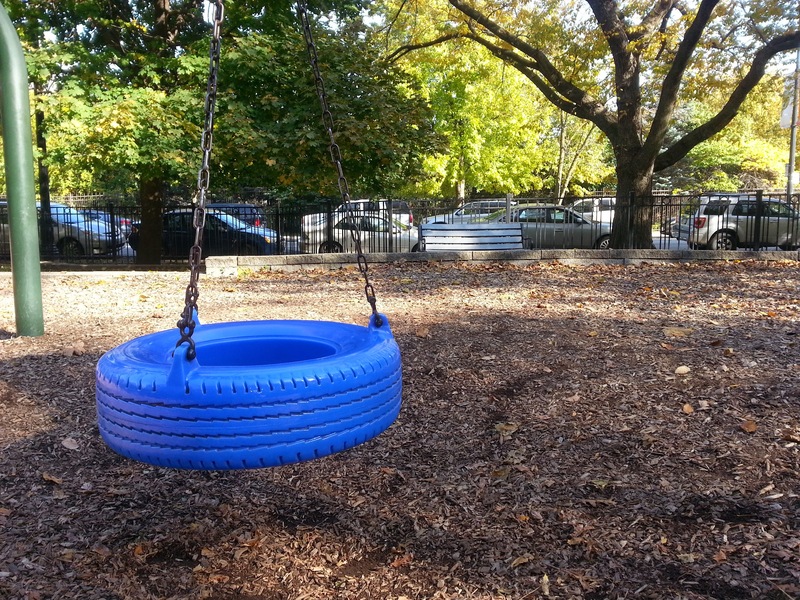 The playground offers a popular sandbox, swings, great playground equipment and lots of space for "tag" or any assortment of games. Today's choice was old school "Cops and Robbers". 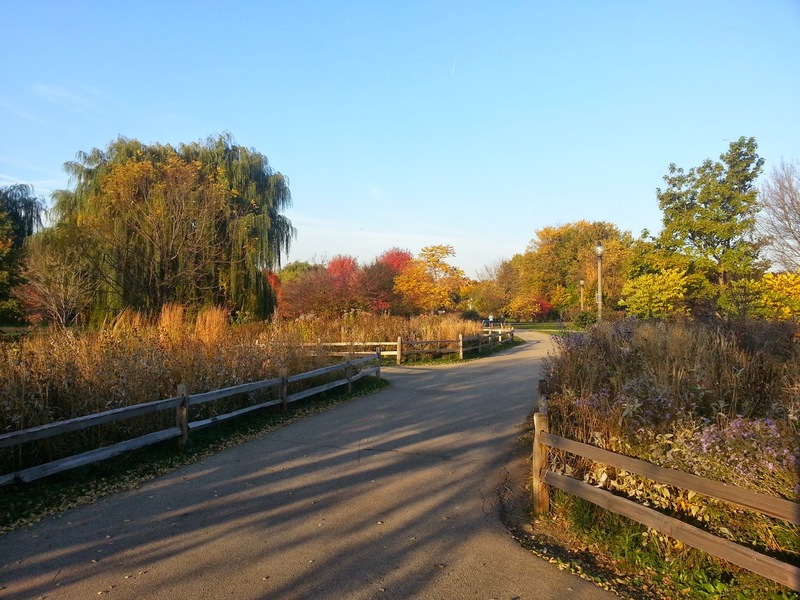 Here's a few photos of Winnemac Park over the weekend. 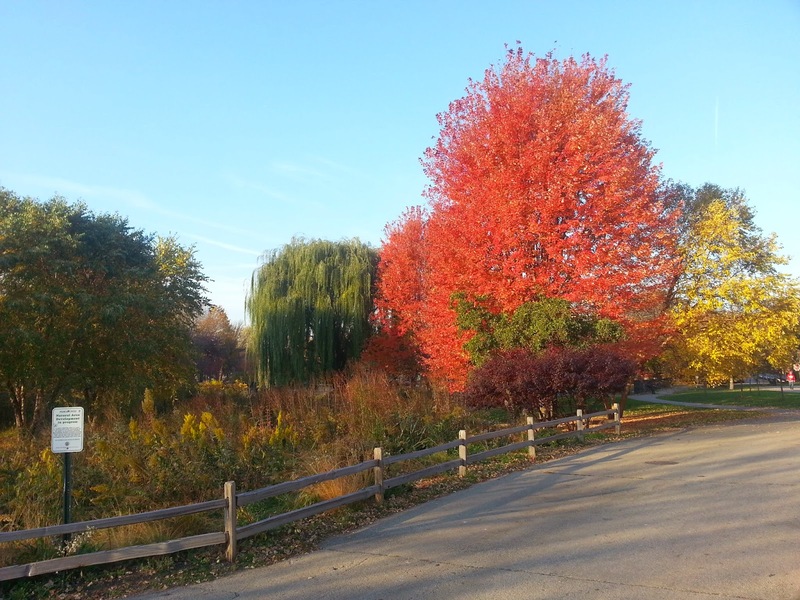 It's been an exceptional fall season on the North Side. 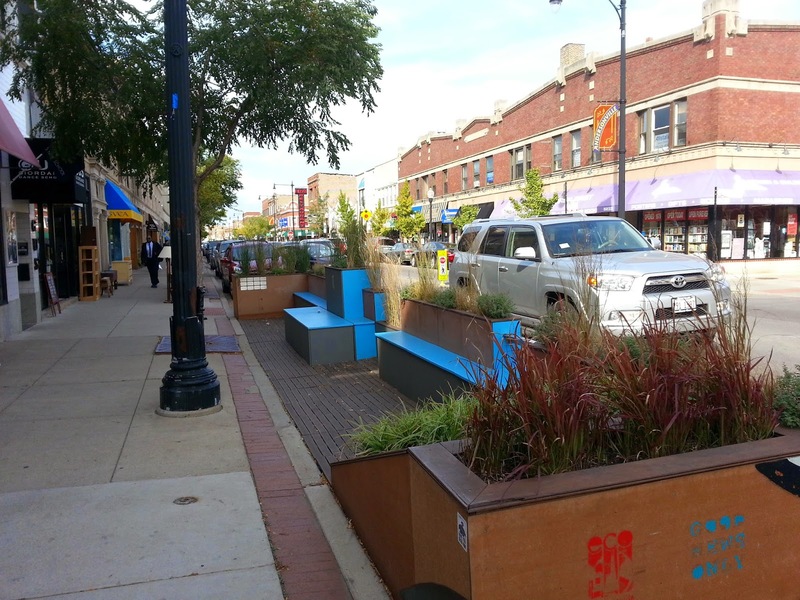 The People Spot at Clark and Olive on Andersonville's booming retail and restaurant strip. I tend to eat more in the fall months. This leads me to walk to Andersonville's North Clark Street and the ridiculous amount of great food (and drinks) available. After a good meal I like a good sit at one of the People Spots along the strip. 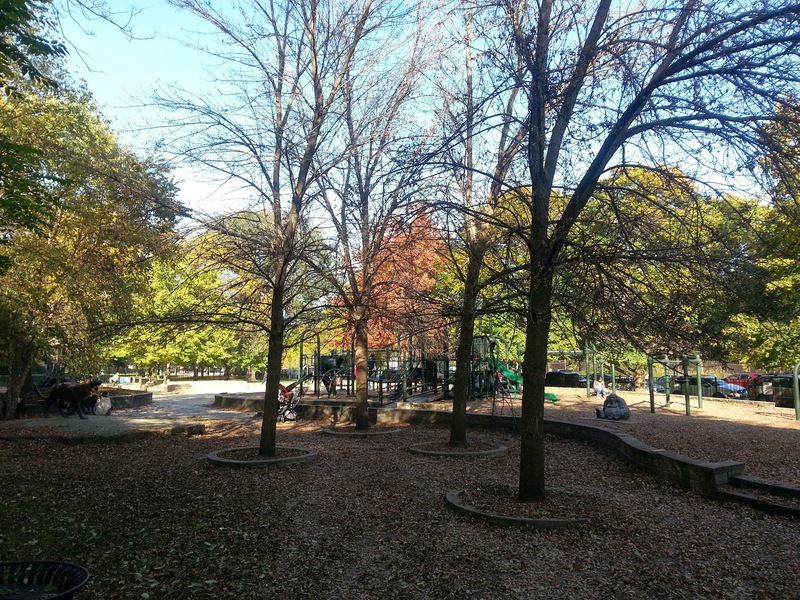 Andersonville is a very popular neighborhood with a number of condo apartments lining North Clark Street from West Lawrence Avenue to West Edgewater Avenue. This strip puts you directly in the action. 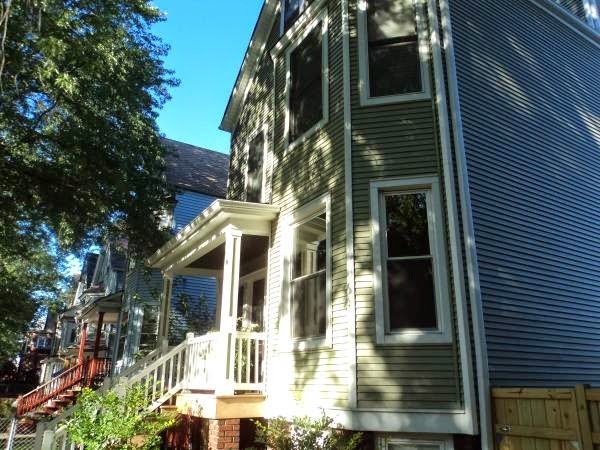 The less expensive options lie on the northern and southern outposts of Clark Street while prices tend to be higher between West Winnemac and West Bryn Mawr (the traditional Andersonville boundaries). However, a new town house development near Lawrence has really brought up prices on the southern end of Clark in front of the cemetery. 22 condos and attached town houses have closed thus far in 2014. The median price is a hefty $525,000. 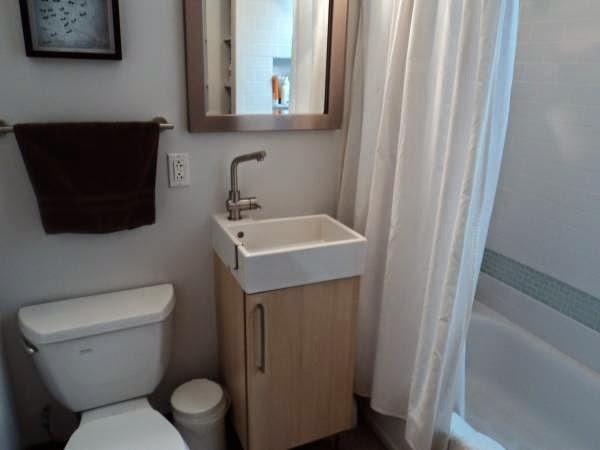 All but three of the units sold are new construction units delivered this year. One condo development at 5434 N Clark and a town house development at 4832 N Clark made up the bulk of sales. Three re-sale condos sold from $290,000 (a rare short sale loft condo) to $440,000 for a three bedrooms, two baths well appointed condo built in 2006. 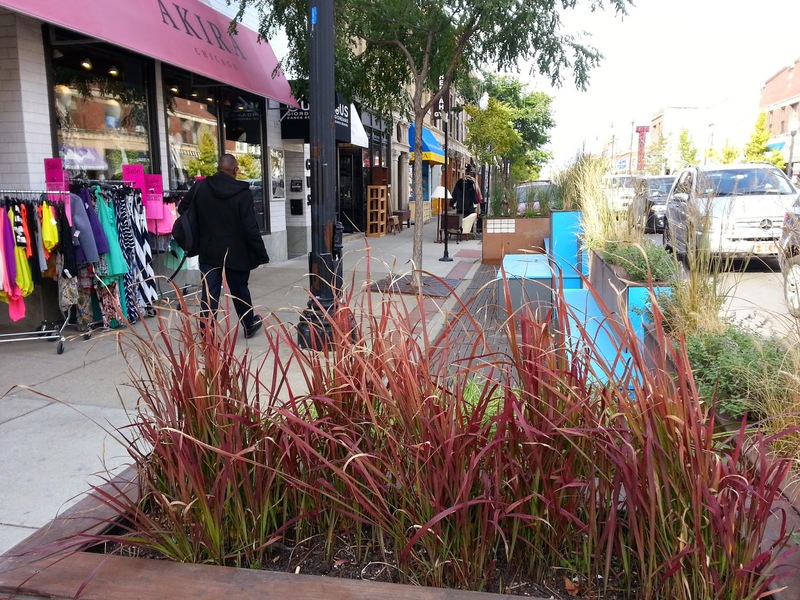 Live, shop and sit on North Clark Street in Andersonville. A great friend and professional General ntractor has a two bedroom unit in his building for rent. 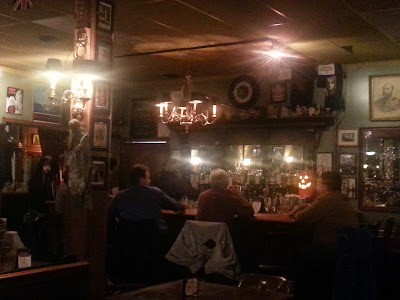 The Avondale location is near the original Small Bar, the original Kuma's and easy to the best Logan Square spots. One block to CTA Blue Line stop at Belmont and Kimball. Contact Jon direct at the Craigslist ad HERE. Newer large deck and huge yard. 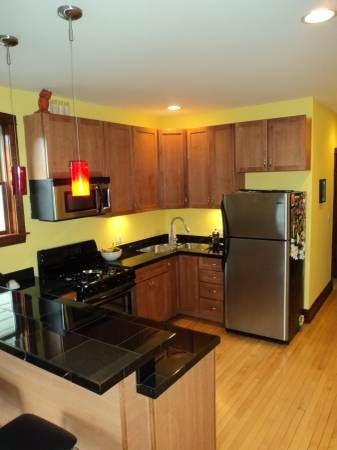 This is a raised 1st floor apartment (not a garden) in an owner occupied gut rehabbed 3-flat. 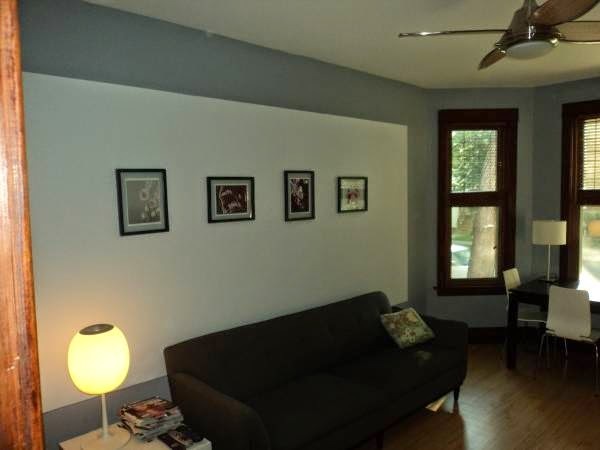 The lease starts November 1st and the rent includes all utilities except TV and Internet. May be able to move in a few days early. - garage parking available for $100/mo. Great kitchen leads to big deck overlooking yard. Fantastic indoor/ outdoor living. 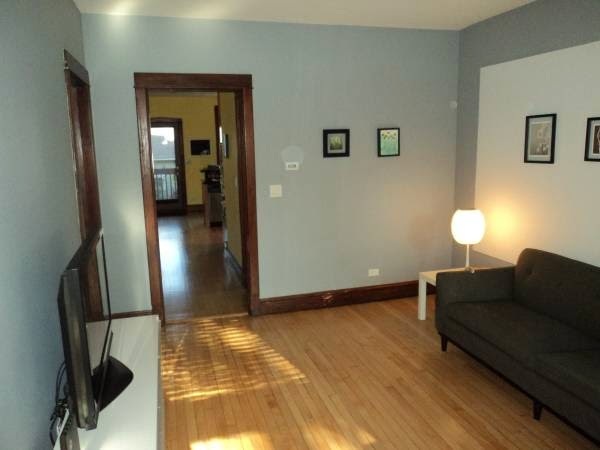 Great place, good location for hotspots and CTA, terrific landlord. Tell him Eric sent you! 2941 N Clark Street...out with the old. 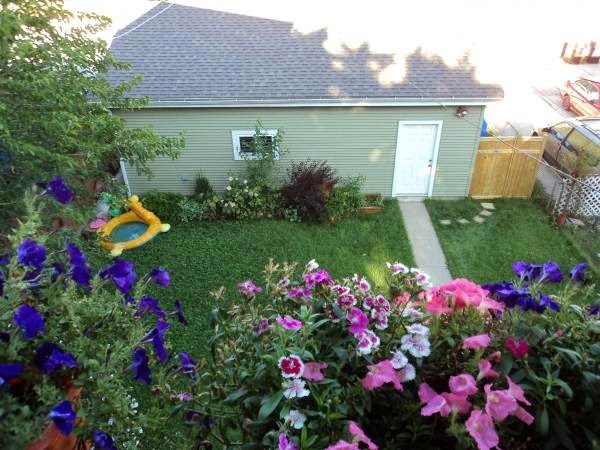 The 98'x125' property stretches 4 city lots. 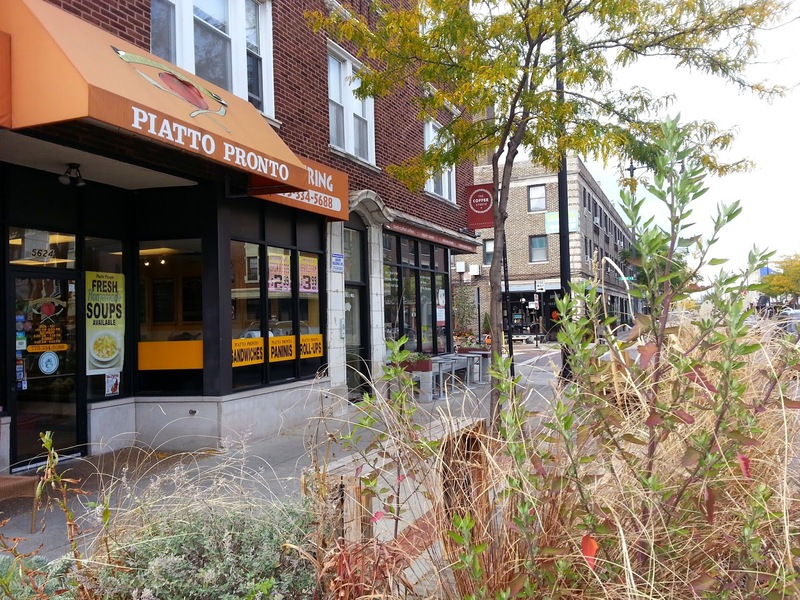 We were walking down Clark Street last week and noticed this conspicuous lot. The tear down at 2941 North Clark has a little history. A neighborhood guy caught me taking a photo and asked if I remembered the former night spot Deni's Den...a Greek night spot with belly dancers and all that. Apparently Deni Dimitreas was a local celebrity. Deni bought the property for $130,000 in 1978 and sold in 1997 for $780,000. The property was sold again in 2001 for $1,450,000 and then $1,800,000 in 2003. 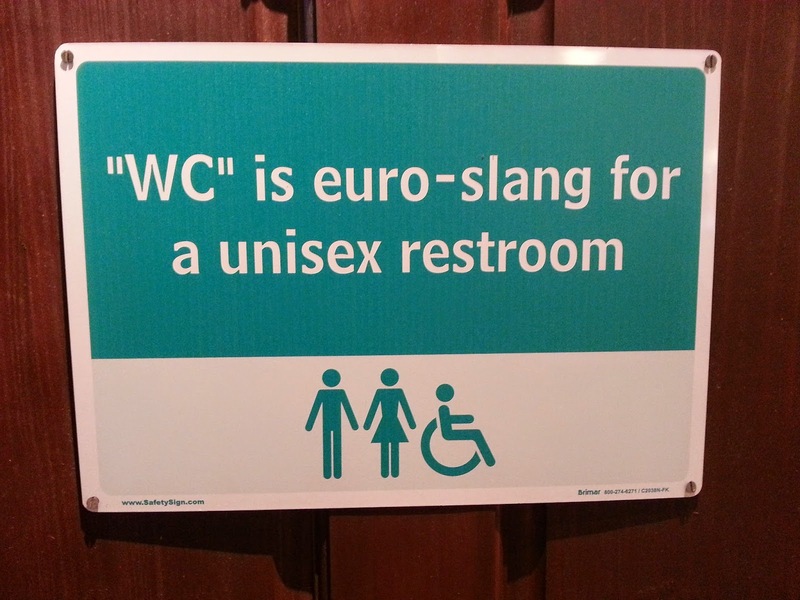 More recently the site was formerly Buca di Beppo and things went downhill from there. The property went into foreclosure by 2010 and was sold for $1,375,000 last year. By the way, we ate "in the kitchen" at Buca. Must have had a gift certificate. Development plans have been presented for the site and a final approval is in the works. 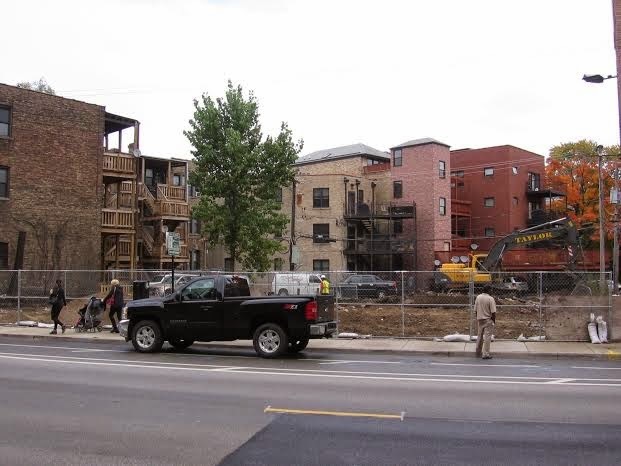 The trend of large mixed use site re-development continues all around popular Lakeview. 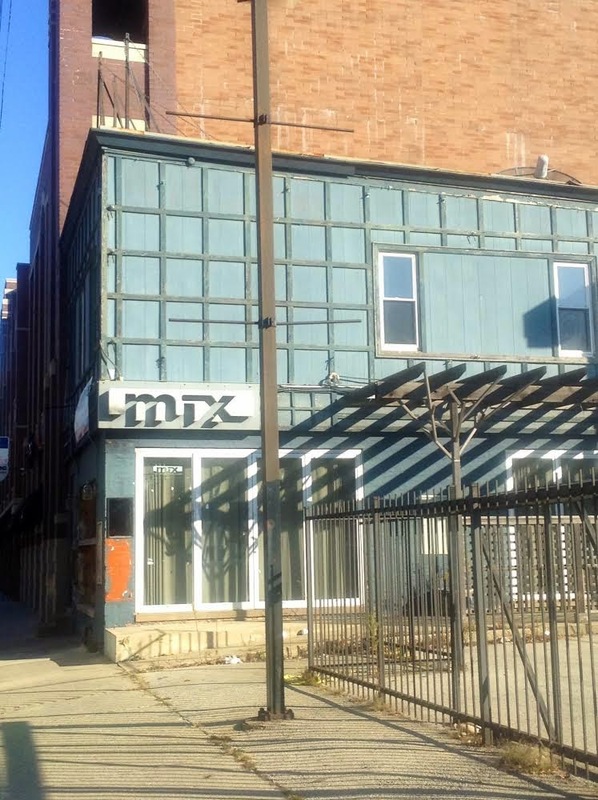 2843 N Halsted (formerly Mix nightclub and other previous bars) is the proposed site for a medical marijuana facility in Lkaeview's 44th Ward. The proposed property abuts a newer construction Residential building with street front commercial space. Many residential condos and apartments share the back alley with the proposed site. The residential building 2844 N Burling (along with others) backs up to the proposed medical marijuana facility at 2843 N Halsted. 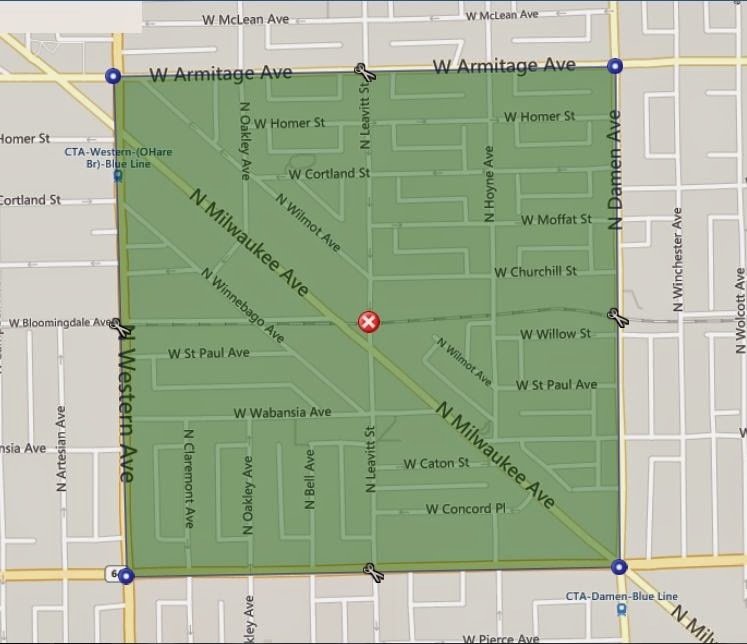 DNAinfo Chicago reported last week on a proposed medical marijuana facility at 2843 North Halsted. 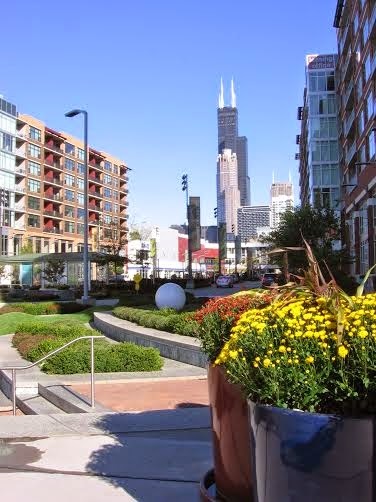 The south Lakeview location is surrounded by residential condo buildings on Halsted and North Burling. There is also a mixed bag of retail and bars dotting the adjacent blocks. I've had offices on Diversey and Halsted in the past and as far as North Halsted goes the 2800 block is relatively quiet. 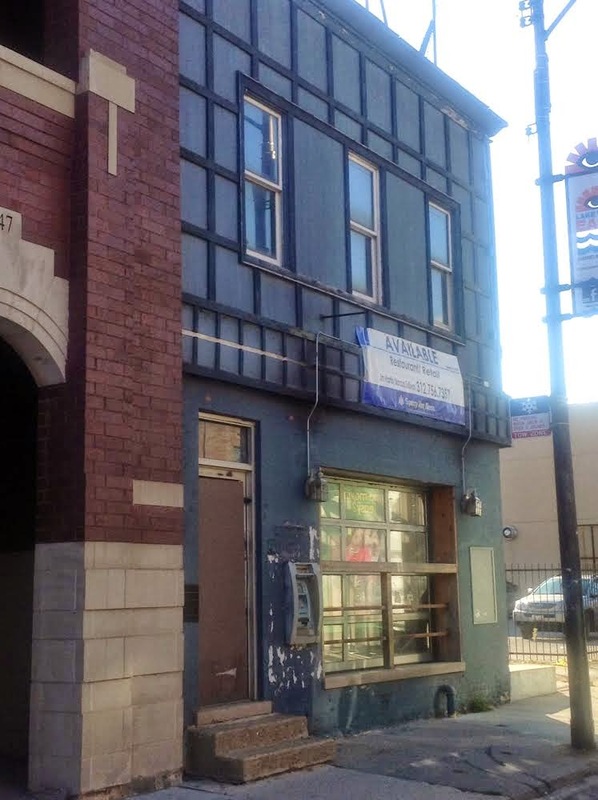 The vacant property at 2843 N Halsted was housed several failed bars. According to the DNAinfo story Ald. Tom Tunney (44th) said MedMar will make appearances at two more community meetings to presents its plans to Lakeview residents. 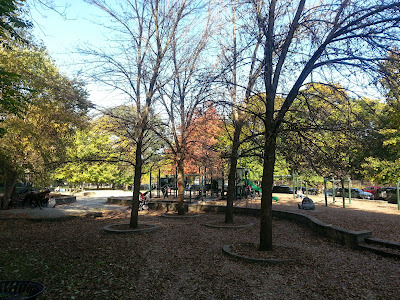 • South East Lake View Neighbors, 7 p.m. Nov. 10, 656 W. Barry Ave. 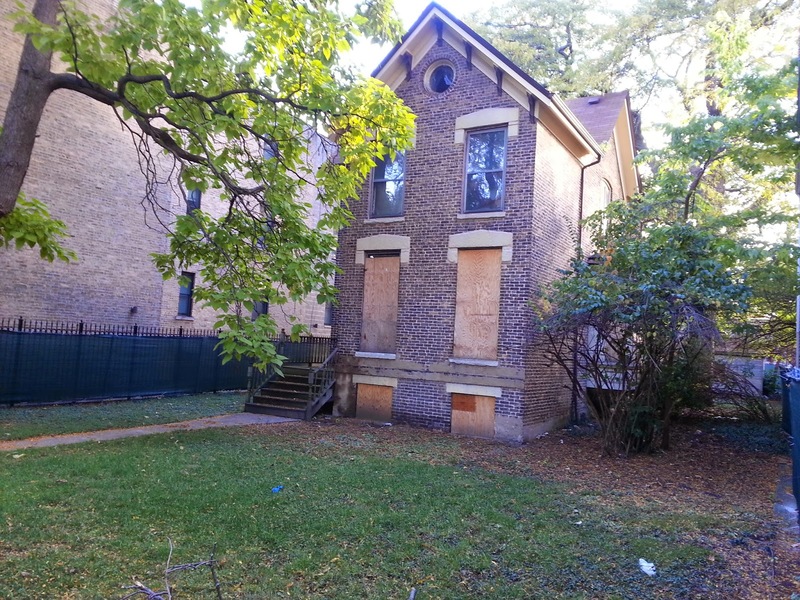 The proposed location is in a popular and expensive Lakeview/ Lincoln Park location. Several of our clients close to this location have reached out to us in the past week asking "what can we do?". This is a good lesson in civic involvement. It's always a good idea to get involved in some way with your neighbors through the local Alderman's office, neighborhood organizations, "Mom groups", block clubs... whatever is a good fit. Local officials will usually contact (and listen too) well organized groups first when development proposals and important issues arise. Some local alderman have their own local zoning committees that review and make recommendations for proposals. Zoning variances and development proposals are probably the most controversial and heated topics local citizens engage in on a regular basis. Don't be left out of the process. 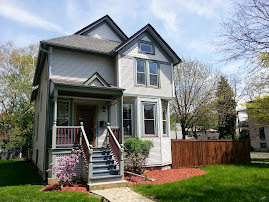 I've long felt the North Park neighborhood offers real value for single family home buyers on the North Side of Chicago. 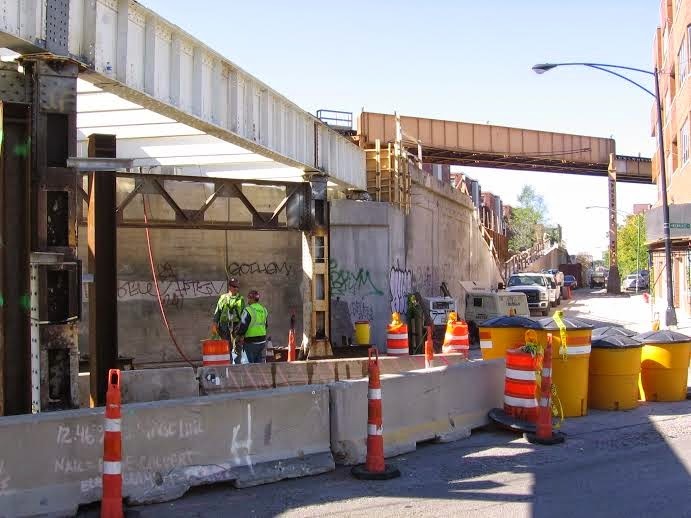 It may not be the most commuter friendly in terms of trains (the Kimball CTA Brown Line stop is the closest train to downtown) but it does offer reasonable bus access, great bike routes and relatively short drives to large employers throughout the North Side and North Shore. 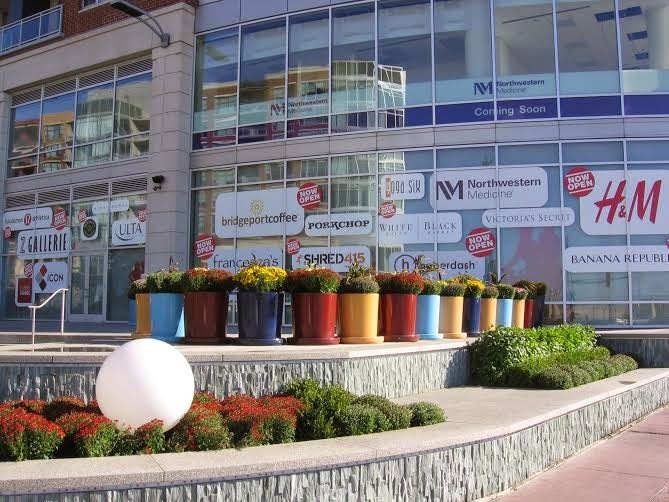 Large public parks (River and Legion among others) and proximity to several university campuses (North Park University, Northeastern Illinois University and Northwestern University) are the most attractive draw for me to this area. Most blocks are leafy and green. The brick homes and unique architecture found in most areas of North Park can be truly charming. 50 single family homes have sold in the North Park Community area from January 1st to October 17th this year. The median price is for single family home is just $280,000. The highest sale this year in North Park is 4316 W Summerdale for $541,000. 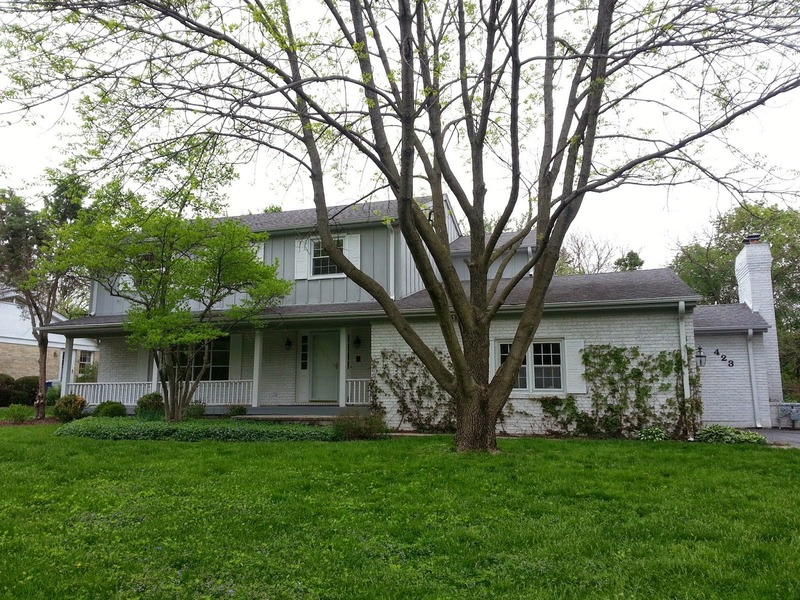 The large 1999 built suburban style home with four bedrooms on the second level is located in a unique subdivision just west of St Lucas cemetery (near parks and nature walks) at Foster and Pulaski. 43 of the 50 single family home sales closed for under $400,000. 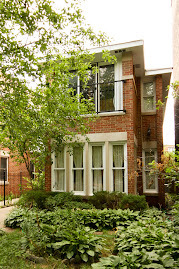 Compare that with popular Lincoln Square just to the southeast at $650,000 range and you start to see the value. 50 homes sold over the same period in 2013 with a median price of $270,000. Although two homes topped $600,000 last year. 13 single family homes are currently under contract. The median price of under contract homes is about $320,000. 31 homes are currently listed for sale in the MLS. The median price of an offered house is about $350,000. 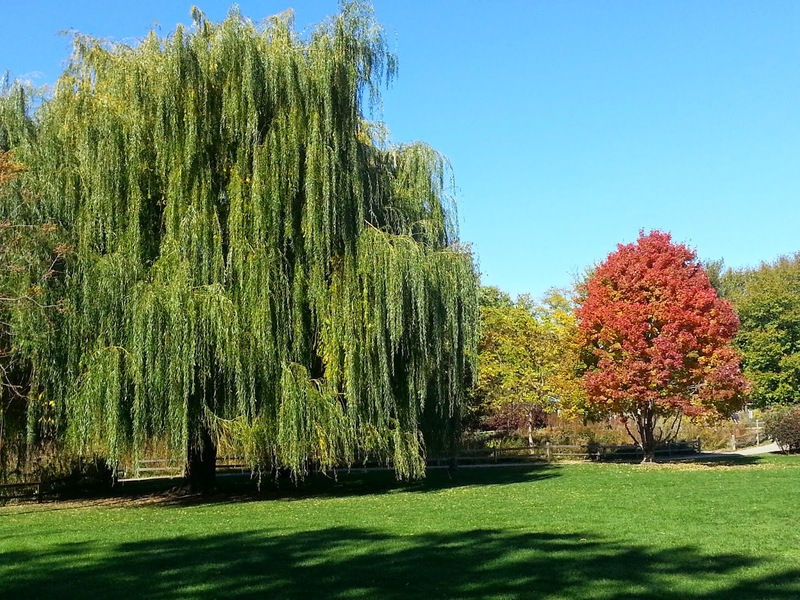 You'll see many homes engulfed in mature landscaping. Two homes are offered for over $1,000,000. 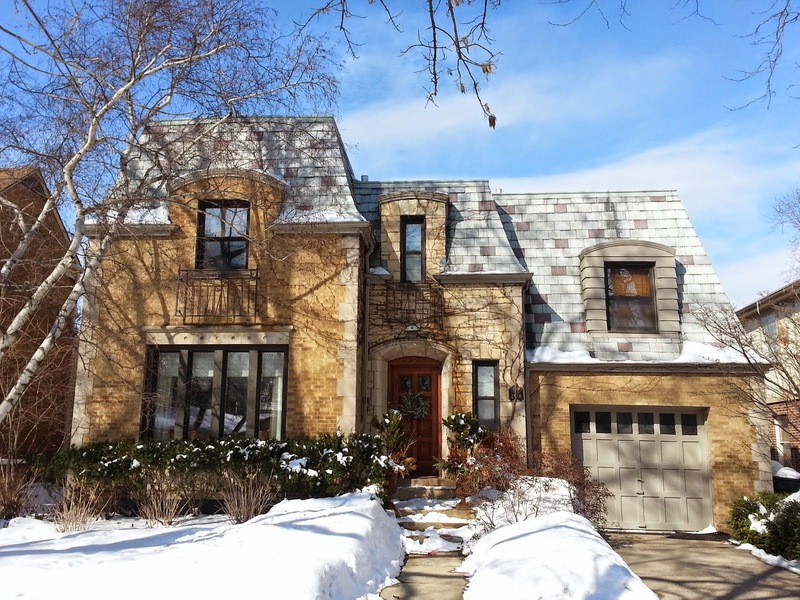 6127 N Monticello is a new construction home on a 60' wide lot listed at $1,399,000. 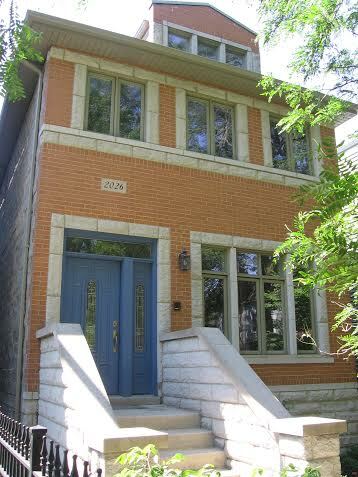 Two blocks north a custom built re-sale house on a 68' lot is listed at $1,300,000. The nine bedroom house with nine and two-half baths has been on the market for the better part of 3 years (starting at $1.7M). 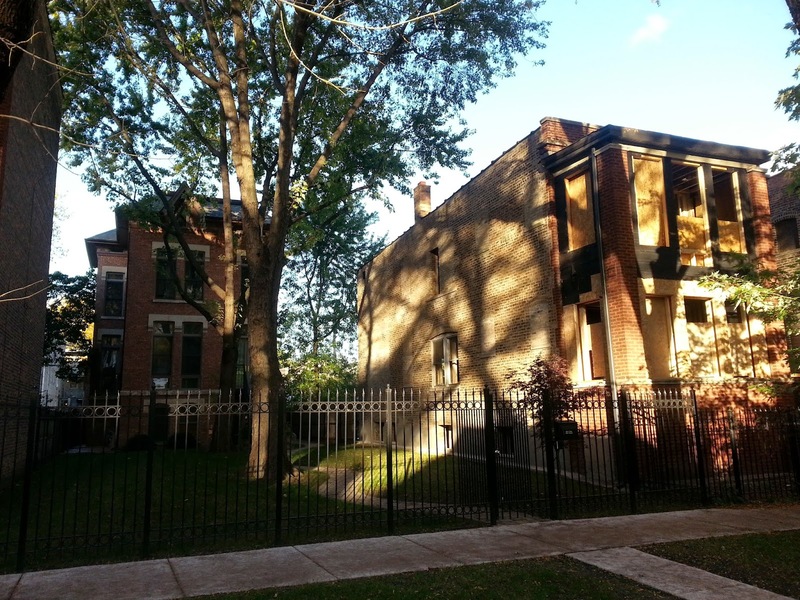 Many condo owners looking for more space and a yard are discovering neighborhoods like North Park and Portage Park to buy a house. If you need to expand your search for a house please contact us. We may have options in attractive neighborhoods you had not previously considered. Lacrosse has been a growing and very hot sport in the Midwest for several years now. 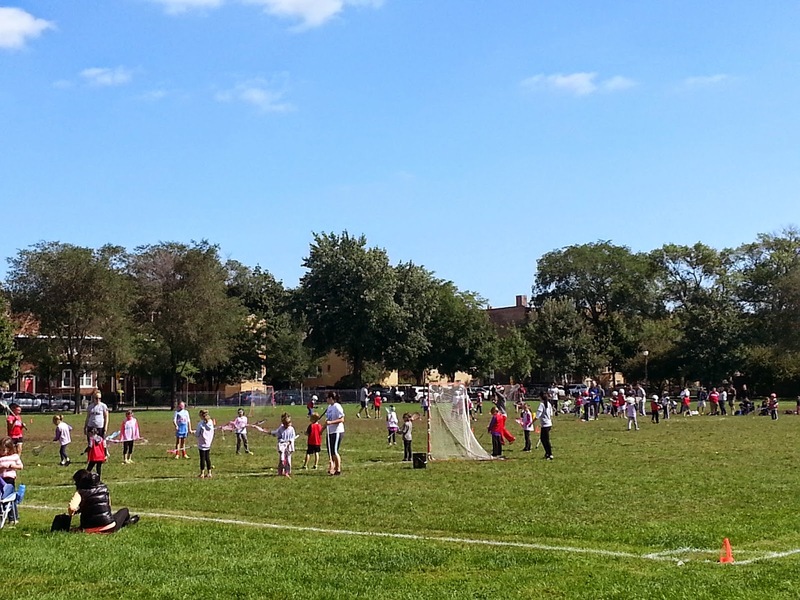 For the first time in my knowledge Lacrosse has shown up in our own backyard at Winnemac Park on the Amundsen High School sports field. I stopped for a moment and watched the the beginner leagues. It's really good for the neighborhood to have the Winnemac and Amundsen fields buzzing with action every weekend and evening. 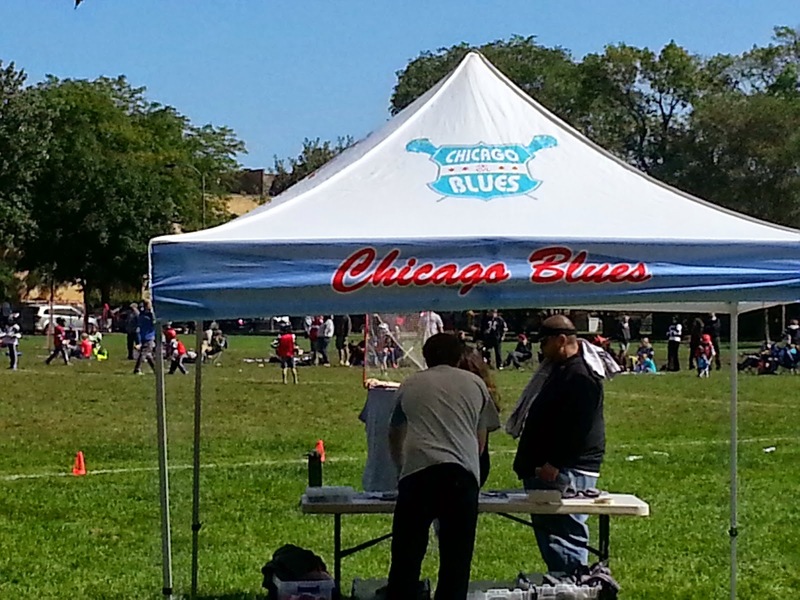 Check out Chicago Youth Lacrosse "home of the Chicago Blues". 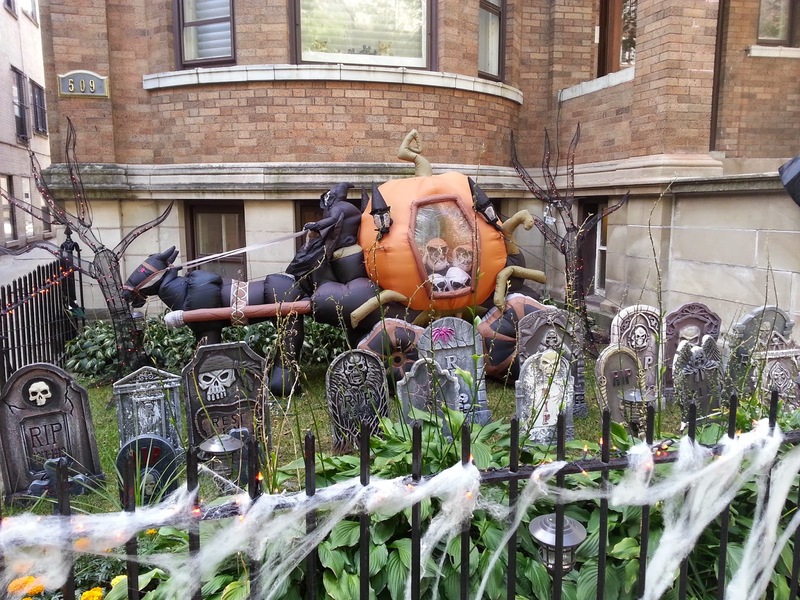 Some people love Halloween. I have seen this set up for a few years now on the 500 block of West Briar. 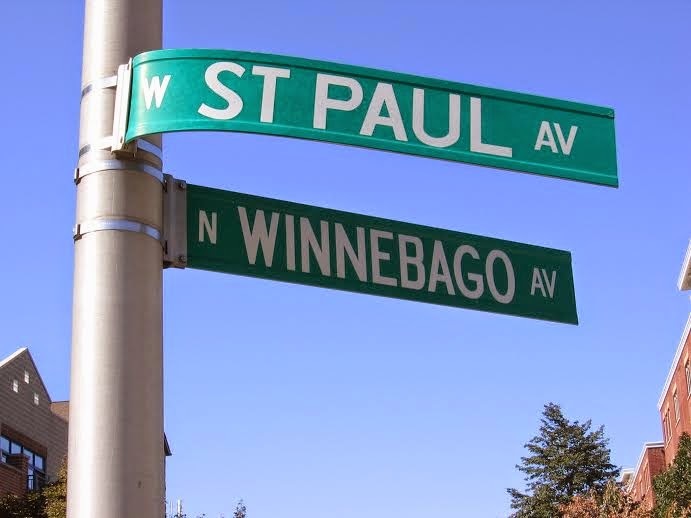 We were in Bucktown last week looking at some property near the St. Paul and Winnebago intersection of western Bucktown. 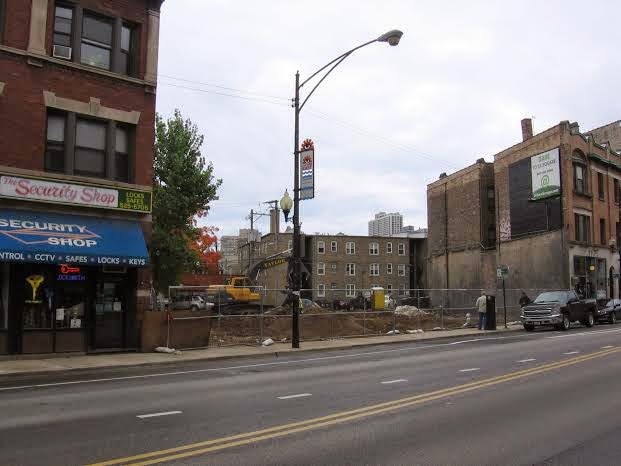 Although the surrounding location has been long developed this immediate spot along the CTA Blue Line tracks has remained "blighty" looking (to coin a phrase). The seemingly endless Chicago construction and development churns on. 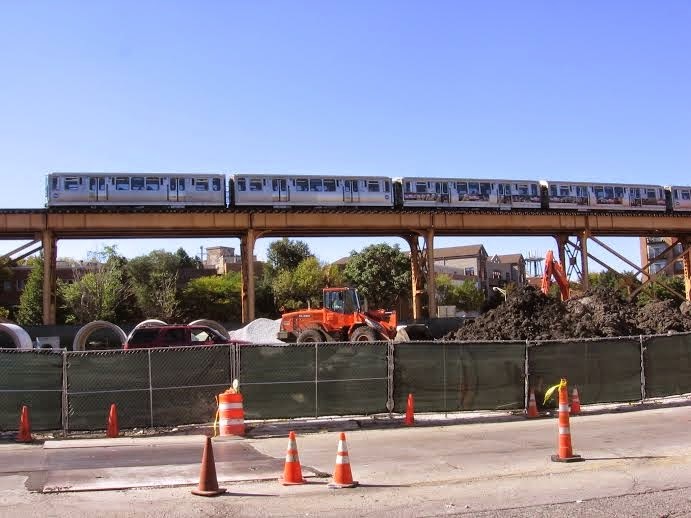 The CTA Blue line lies between the angled streets North Milwaukee Avenue and North Winnebago Avenue. 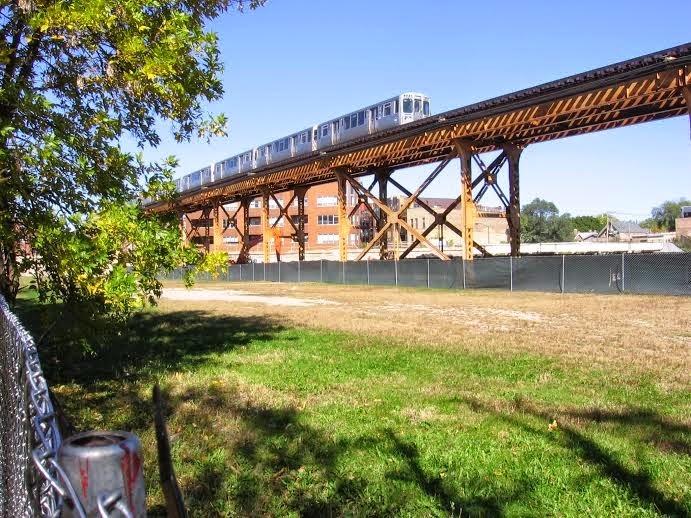 Development projects are on each side of the EL tracks. Future site of town house construction near St. Paul and Winnebago in Bucktown. The long vacant lot has been a bane to existing home owners for years and years. The last attempt at developing the lot was back around 2006 prior to the housing bust (I remember advertising signs at the lot circa 2006-2007). The site of planned Northwestern Memorial Hospital medical building at 1776 N Milwaukee. Condo sales (attached units including town houses) in the immediate area have been very active over the past 12 months. 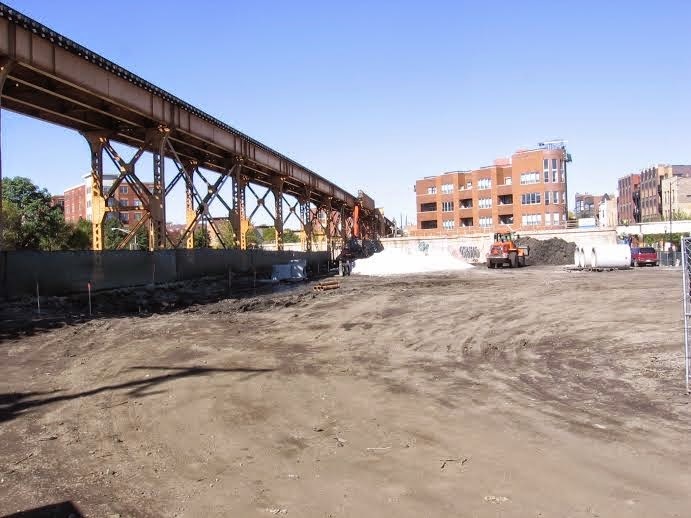 135 units have sold within the boundaries of North Damen to North Western and West North Avenue to West Armitage. North Milwaukee Avenue and the Blue Line cut diagonally through this western section of Bucktown. The median price for a condo in these boundaries is $387,500. 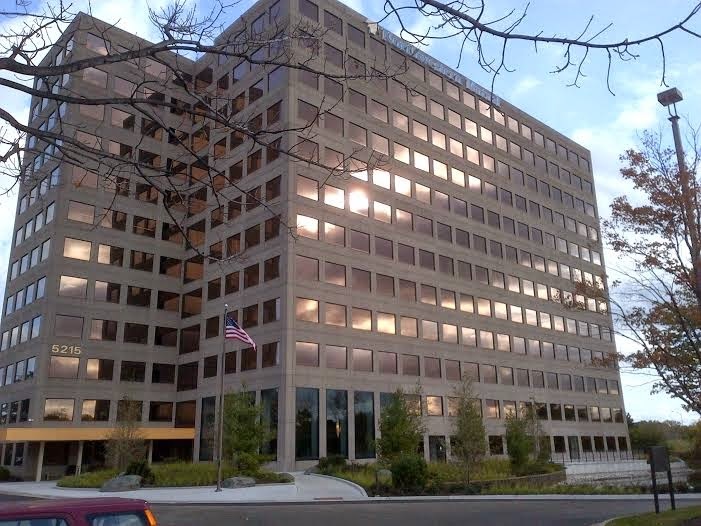 Prices are affected by a unit's proximity to the El tracks and by location on one of the major arteries like North Western Ave.
First American Title has an office in this building at 5215 Old Orchard Rd #250, Skokie, IL 60077. 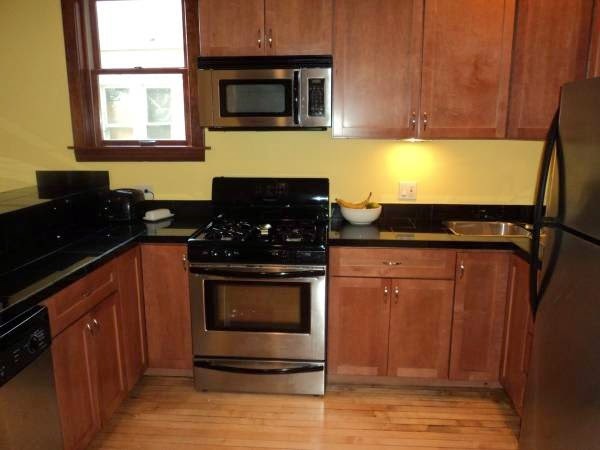 All photos from Bob DePalma and Eric Rojas, Brokers, Kale Realty from our closings last week. 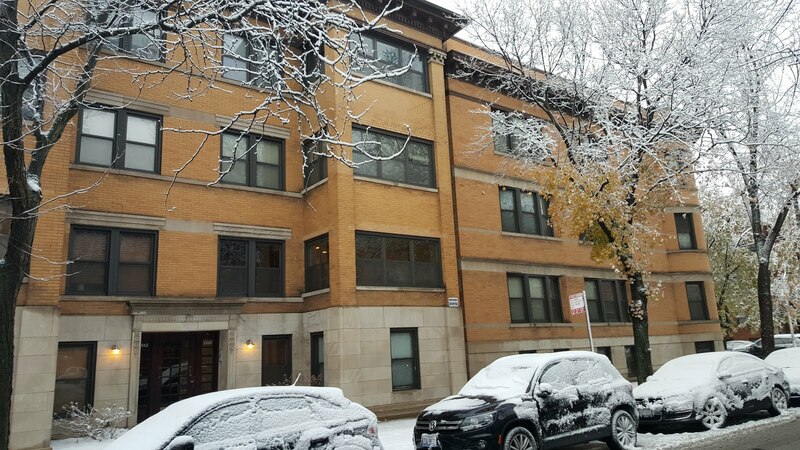 A couple weeks ago I represented clients at closings at 10 S LaSalle in Chicago Title's downtown offices and at 4230 W Irving Park Road in the First American Title offices of the Old Irving Park neighborhood. 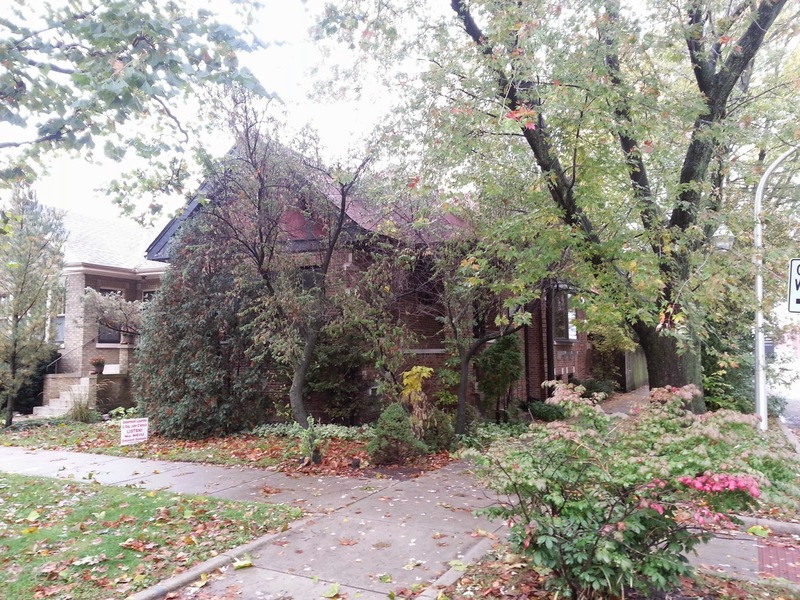 Last week Bob represented our clients at a closing in Skokie. How is a closing title company chosen? 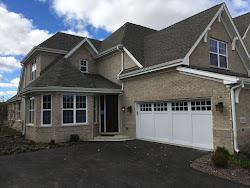 Why was our Evanston sale closed in Skokie? 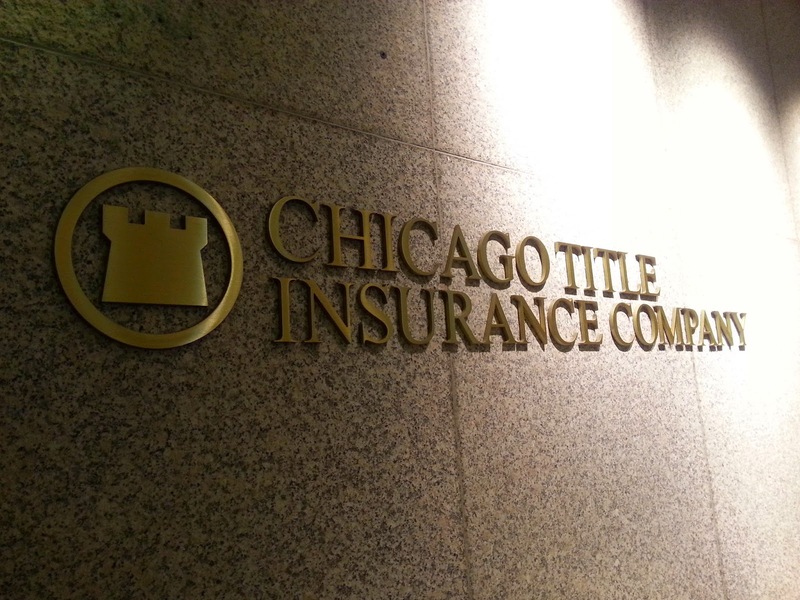 "In the Chicago area most attorneys that represent Sellers in regard to residential real estate transactions are affiliated with the title insurance company used. The Seller's attorney does participate in researching the existence of deeds, liens, encumbrances or other items of record that effect the subject real estate. 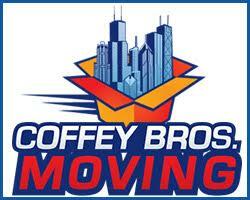 The attorney is compensated by the title company for that research and work provided. In addition the attorney does share the potential liabilities that might result from the failure to properly note items of record that exist on an examined property. For the transactions that I am involved I use title companies with which I have had positive experiences, allow the transaction to proceed smoothly and that best protect my clients. Normally I will attempt to work with all parties involved in a transaction to determine the location of the closing. Generally the location of the closing should be reasonably proximate to the location of the subject real estate. 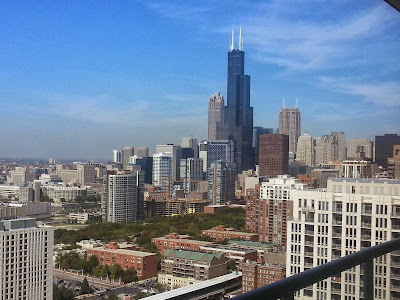 Companies like Chicago Title or First American Title do have a greater number of closing offices located in the Chicago area which may allow the opportunity to close within a few miles of the residence that is being sold." 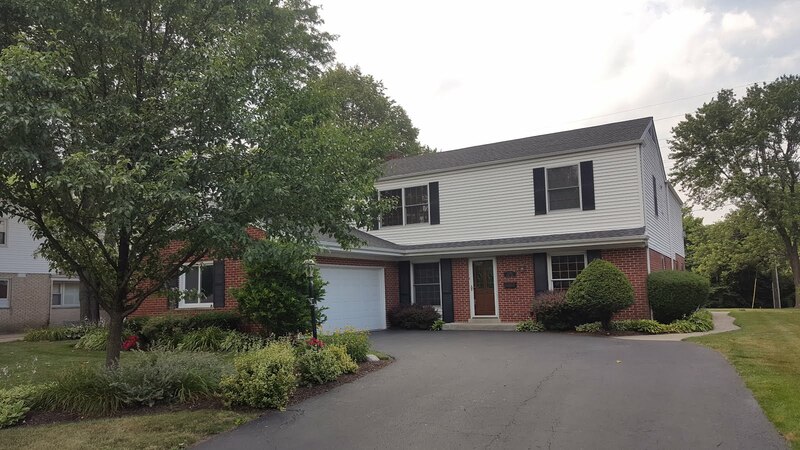 Our 811 W Chicago closing was held in a nearby Skokie location in part because Kent is affiliated with First American Title and the location was convenient for the buyer and seller parties involved. 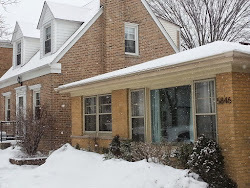 Bob and I have attended many northern Chicago closings at the Skokie location as it is sometimes more convenient for buyers and sellers than downtown Chicago.